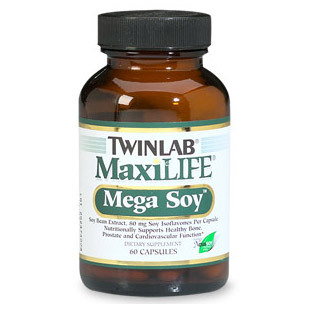 Maxilife Mega Soy Soy Bean Extract, 80mg Soy Isoflavones Per Capsule. 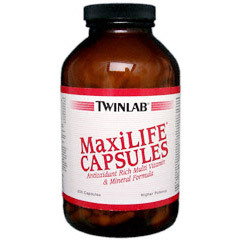 Nutritionally Supports Healthy Bone, Prostate and Cardiovascular Function Maxilife Mega Soy provides more than the amount of dietary soy isoflavones (genistin and daidzin) consumed in the Oriental diet in just one capsule! It also provides the same amount of isoflavones shown beneficial in the research studies. Soy has been shown to provide many health benefits including bone maintenance, hormonal regulation in women (especially during menopause) and nutritional support for cardiovascular health and prostate health. Maxilife 7-Keto - Improved form of DHEA 7-Keto DHEA is a naturally occurring metabolite derived from DHEA (Dehydroepiandrosterone). It can be found in many of our body tissues but cannot be converted to active androgens (testosterone) and estrogens.